A job fair with special emphasis on opportunities for veterans with disabilities is set Thursday, August 2, 2018 from 5-8 p.m. at the Bay Pines VA Healthcare System (VAHCS). Similar job fairs have been conducted in the past and have been instrumental for Veterans seeking employment in the federal government according to a VA Bay Pines release. For more information about the upcoming job fair, please contact Brenda Sykes, Section Chief, Human Resources Management Service at (727) 398-6661, extension 10636. Soldiers line up to check in for the CivilianJobs.com job fair sponsored by the Fort Campbell, Ky., Army Career and Alumni Program office. Hundreds of transitioning service members, veterans, and their family members took part in the event. My thanks to Barrett Bogue, Student Veterans of America vice president of Public Relations and Digital Engagement, for passing along a new website focused on transitioning service members. While the issues covered in Rebootcamp may sound similar to the TAP classes you sat through, don’t worry – there’s no “death by PowerPoint” here. The site includes edutainment videos, informative how-tos, custom tools, and inspirational stories about veterans. Education, employment and entrepreneurship are the cornerstones of the new site, Rebootcamp, produced by the Military Times. The strength of the website; the many partners that contribute. A huge chunk — maybe even a majority — of the information, advice and other content that you’ll see comes from more than a dozen partners, spanning veterans service organizations, government agencies and the private sector. Another resource to check out, Project Transition USA, a non-profit organization that shows service members how to use LinkedIn to help transitioning military find meaningful careers in the civilian world. In addition to the job opportunities – military spouses and veterans who register prior to the event will have a chance to win free tickets to the Tampa Bay Lightning vs. Ottawa Senators hockey game. The Hiring Our Heroes Expo is scheduled Tuesday from 11 a.m. to 2:00 p.m. at Amalie Arena, 401 Channelside Dr, Tampa, FL. However, doors open at 9 a.m. for those interested in the free, Career Connections employment workshop to help build your resume and translate military skills into civilian skills. There are additional resources for connecting with veteran-friendly employers, digital networking and job search techniques. Expo sponsors, in addition to the Lightning, are the U.S. Chamber of Commerce Foundation, Lockheed Martin and USAA. Employers range from large, national companies to smaller, regional businesses. Since 2011, Hiring Our Heroes has helped hundreds of thousands of veterans and military spouses find meaningful employment through more than 1,100 job fairs in all 50 states, Puerto Rico, the District of Columbia, and on military installations overseas. 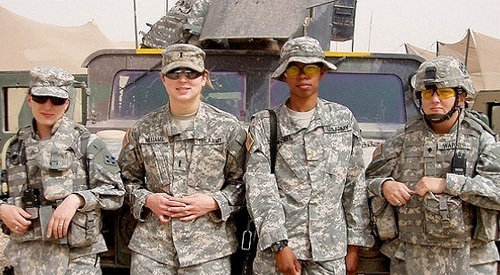 Florida has 160,000 women veterans living in the state, yet some of those women do not consider themselves a veteran and many more have never applied for veterans’ benefits. 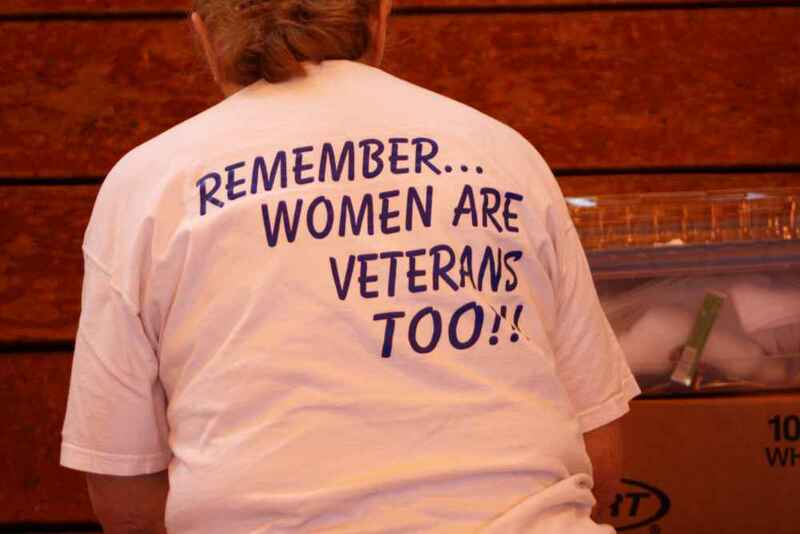 She said many of the older women veterans are unaware that their veterans or entitled to veterans benefits. “I’m a veteran. I only served a couple of years in the Air Force and I didn’t know I was a veteran for 25 years,” said Larri Gerson, supervisor of claims for FDVA. From a previous Operation Stand Down. Raising awareness and then helping women file for their veteran benefits is one reason why the state agency is planning the free, two-day conference in Tampa. “I’ll be talking about the appeals process having women veterans understand what we can do to help them with their claim for PTSD (post-traumatic stress disorder) and MST, military sexual trauma,” Gerson said. Sessions also will cover employment, vocational training, and an elder law expert along with an opportunity to sit down with benefits experts from the FDVA who will help women vets with their claims. The 2nd Annual Florida Women’s Veterans Conference is free and open to women vets, their spouses and support. Online registration is available through the Florida Department of Veterans’ Affairs. 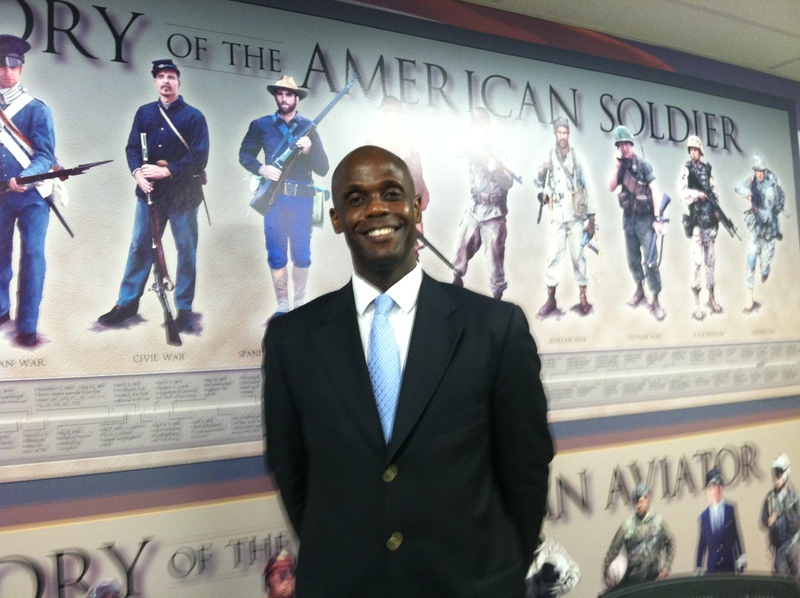 Russ Barnes, a retired Air Force colonel, who designed the USF Veterans Employment Project. Despite the improving economy, finding a job or establishing a career remains a challenge and will be especially so for the million or more military service members expected to transition to civilian life in the next few years. So, the University of South Florida Office of Veteran Services created the Veterans Employment Project, thanks to a grant from the JP Morgan & Chase Company, to prepare USF student veterans for the competitive civilian market. Russ Barnes, a retired Air Force colonel with 27 years of service, designed the program. More than 30 student veterans applied, but the sessions need to be smaller to provide one-on-one help. So, he prioritized the applicants with a survey. Those who scored 10 out of 10 as “urgent” that they find a job in the next three months were accepted first. The employment project he created is not the typical workshop. Barnes turns things upside down. Instead of starting with resume writing, he ends with it. He begins by focusing the veterans on their passion, their ideal career or job. Then, he guides them working backward, identifying their industry of interest, researching companies, and then honing their resume to fit the job description. 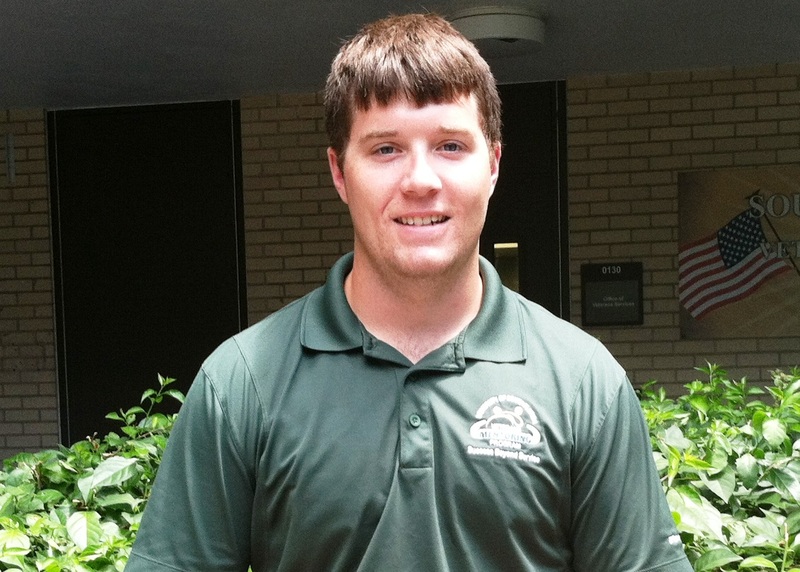 USF student veteran Joshua Gleaton will graduate in May 2015 with a criminology degree. 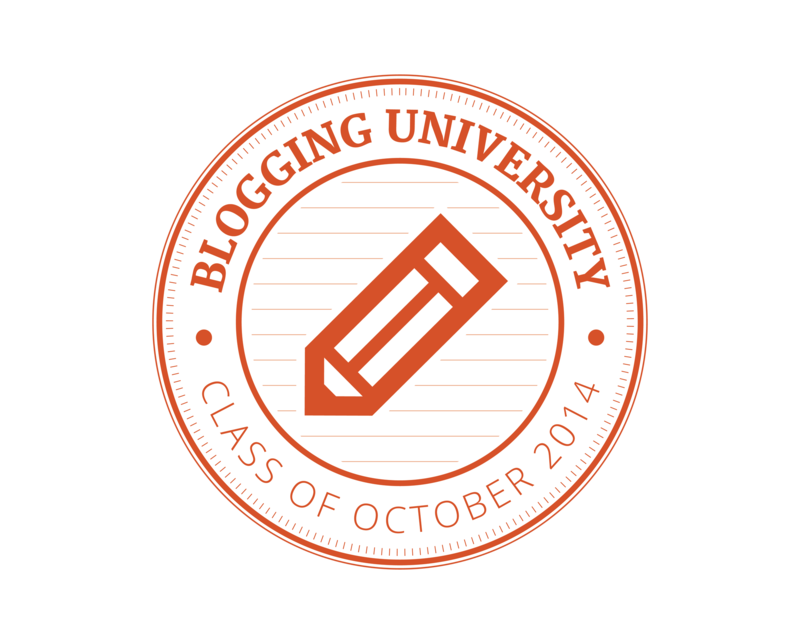 By the end of day one, Barnes had the six student veterans in his August session signed up on Linked In. They had to join a professional group in their area of interest, researched companies and made personal connections with people working in their desired profession. Joshua Gleaton spent more than four years in the Army as a forward observer. The former sergeant is completing a degree in criminology as he works with students at the USF Office of Veteran Services. “These guys are veterans, they have military experience, there’s still an enormous amount of competition in the work field,” Gleaton said. His goal is to have a career as a state game warden or work in criminal forensics for the Florida Department of Law Enforcement. Gleaton said the mock interview process helped him the most. 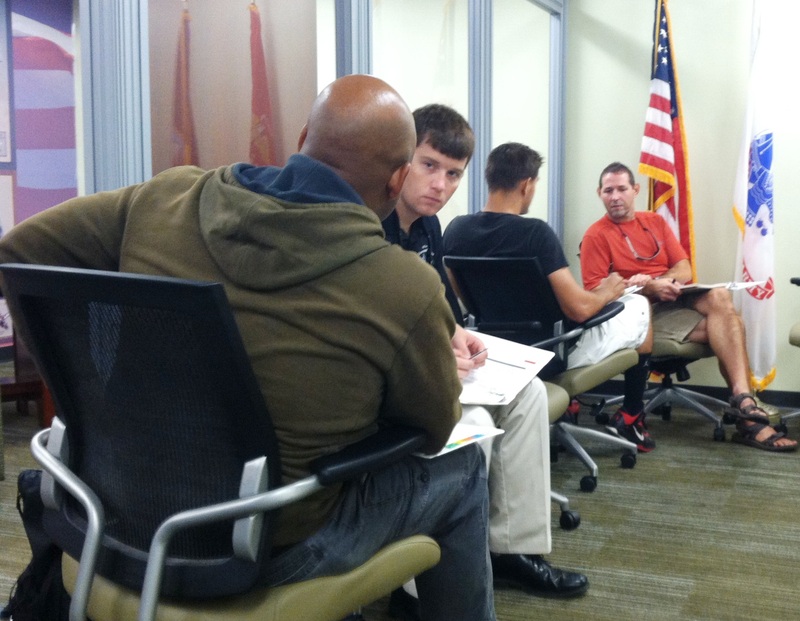 Student veterans pair off to complete an exercise during a 5-day USF Veterans Employment Project August session. After introducing herself on day four, Shaw, who volunteered to come, started with a couple of questions the veterans may encounter during a job interview. Shaw did role playing with Franklin Castillo, a Marine going for his MBA. She worked with him on how to shorten his answer and bring the question back around to the present and positives he learned from being dismissed. “If you leave with one thing today, I would tell you wherever you go you’re in an interview and if you can just be yourself, relax and be yourself,” Shaw advised. Castillo is one of the student veterans who marked in his survey that it is urgent he find a job in the next three months. He wants to work for a commercial bank in anti-money laundering and fighting fraud. 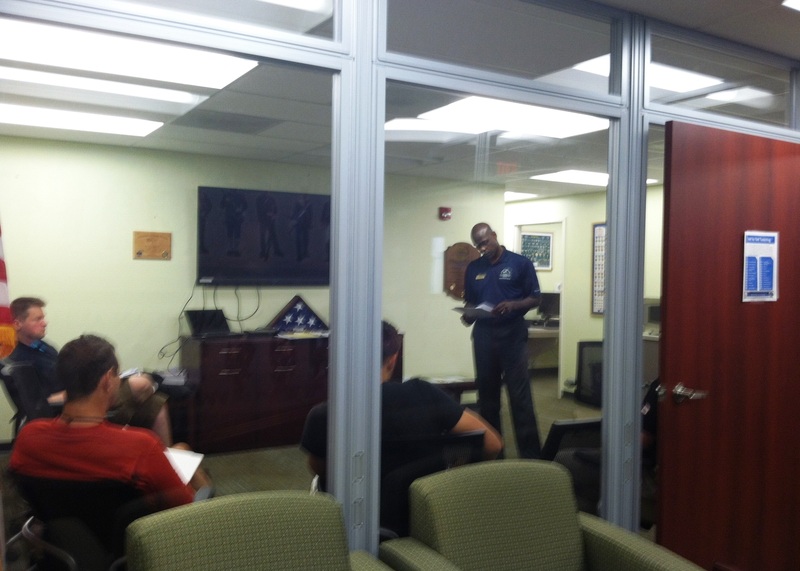 Russ Barnes conducting the Veterans Employment Project session at the USF student veterans lounge. “I came here with a preconceived notion, now as we’ve gone through the week, I’m so desirous to put this to work,” Castillo said. Barnes said the employment workshop works both ways. Helping veterans adjust to the civilian job market and assisting employers by dispelling common myths about military veterans. The workshop ended on the fifth day with mock interviews for the veterans. However, Barnes said there’s a sixth module – the actual interview and job placement. He plans to stay in touch with all the student veterans until they land their ideal position. In the interim, a third USF veterans’ employment 5-day session is scheduled to start Sept. 15, 2014. You can listen to the radio story on WUSF Public Radio.